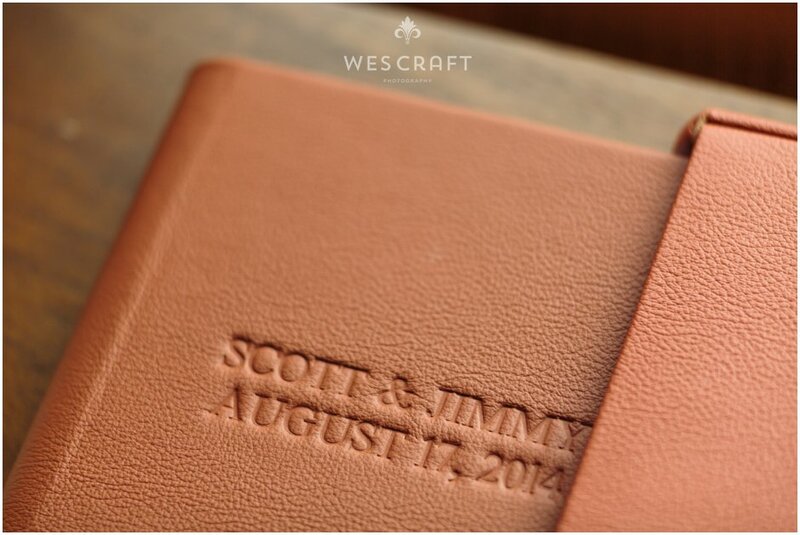 Scott & Jimmy are classic gentlemen with classic yet modern tastes. 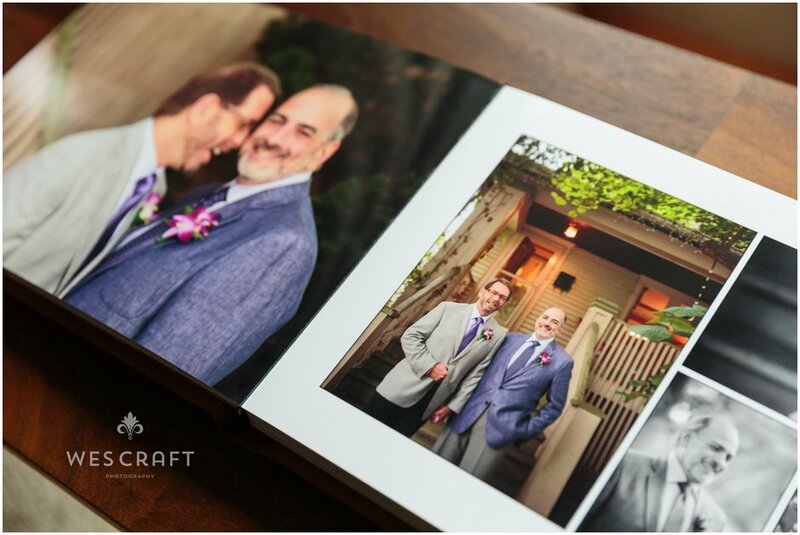 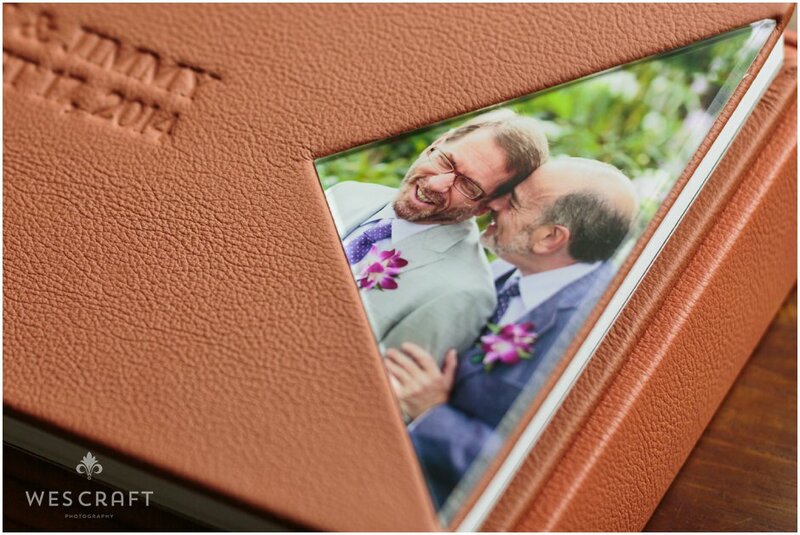 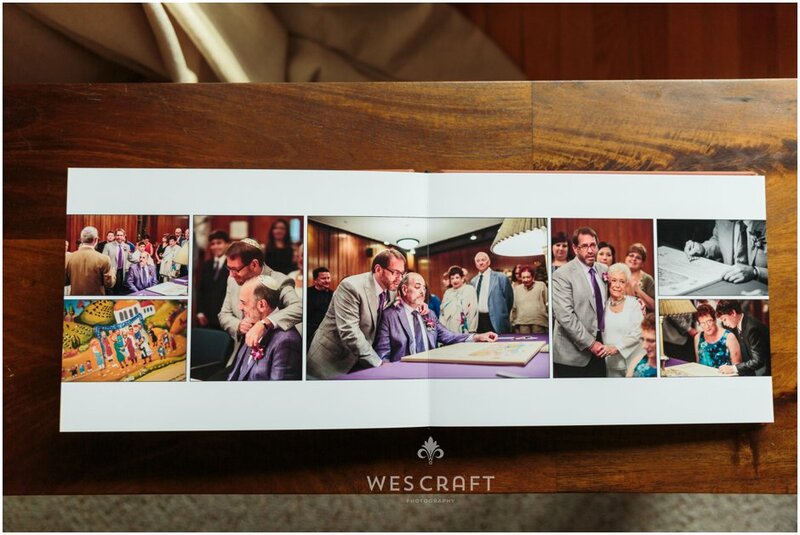 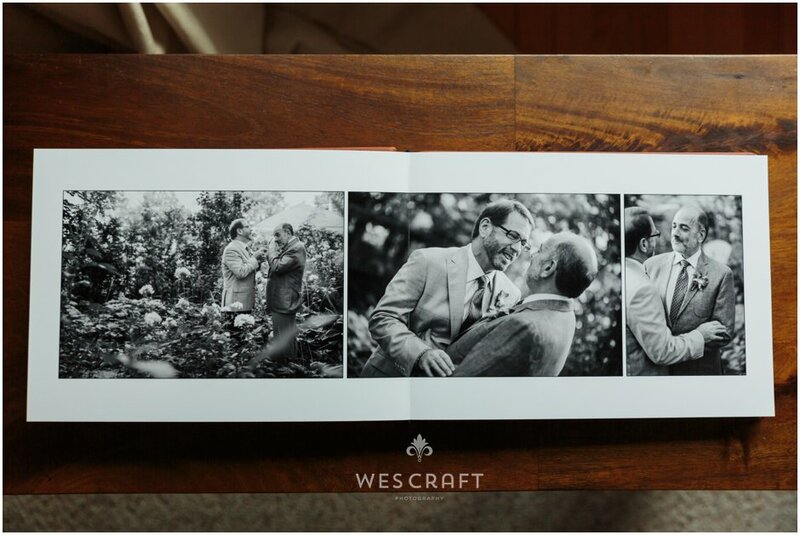 They chose to upgrade their Keepsake 12×8 album with Sienna colored leather from our Genuine Italian Leather swatches. 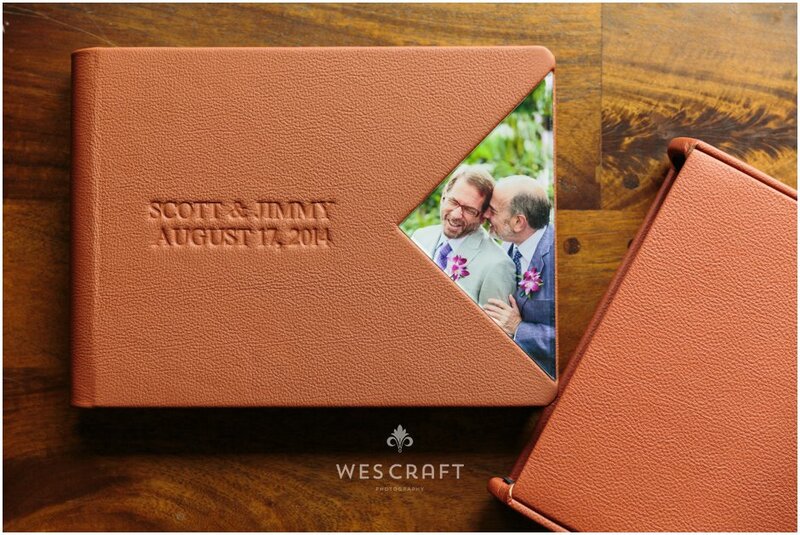 We recommended debossing for the title in a timeless and bold serif block print. 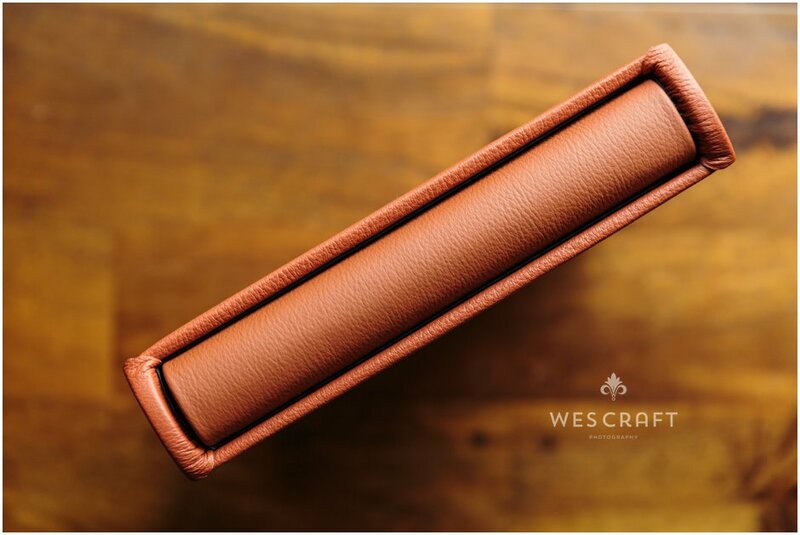 They upgraded their custom carrying box to a custom leather sleeve in the same material as their book’s binding. 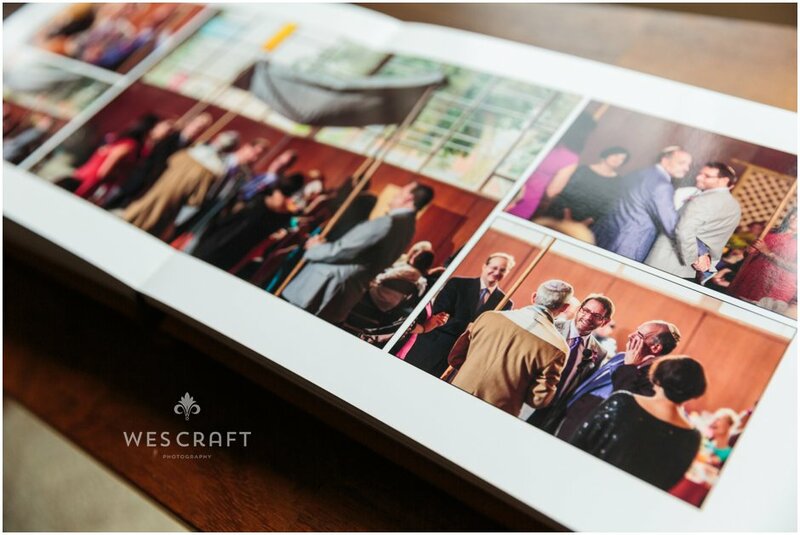 A triangular acrylic window showcases one of their favorite candid portraits from the day. 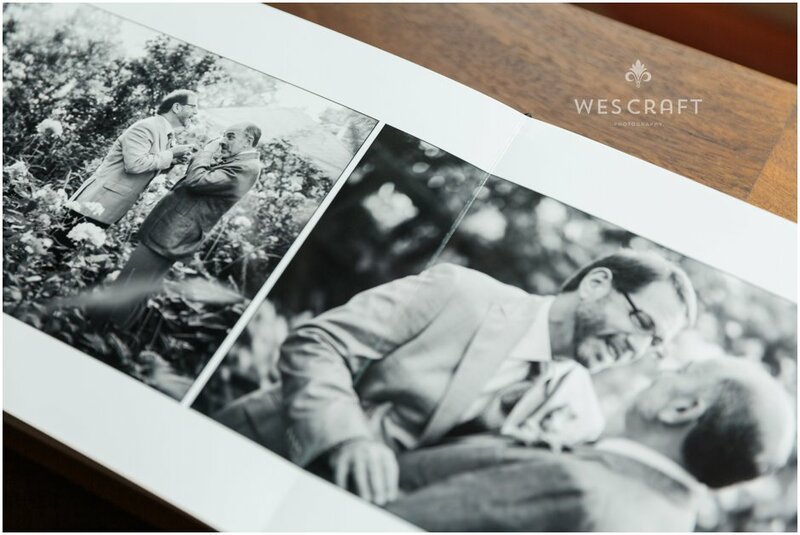 These two were big on the documentary photography.